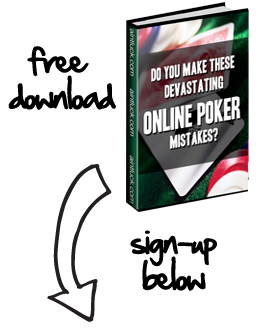 At the beginning of December, a large group of high-volume online poker players joined in a strike against PokerStars. The goal was to show PokerStars’ parent company, Amaya Gaming, that pros have a voice and a large influence on traffic. Unfortunately for these pros, the traffic at Stars didn’t take much of a hit and the room doesn’t appear close to reversing the changes. Eric Hollreiser, Vice President Corporate Communications for Amaya, explained that while they noticed the strike, it wasn’t enough to reverse their decision. Many high-volume players are angry because they don’t feel PokerStars gave them advanced warning about the Supernova Elite (SNE) level being axed. Specifically, many players believe that Stars violated their own agreement, which states that SNE players are to maintain this status for the current year as well as the following year. Changes were announced with less than two months left in 2015, meaning those who earned SNE status this year won’t enjoy the same privileges in 2016. While Hollreiser claims that pros were given “warnings” that VIP changes were coming, few high-volume players believe that Stars is in the right here. Nevertheless, PokerStars will continue with the changes as they see fit in hopes of attracting more new players.